A while back I wrote about a few motivational quotes that inspired me and the response was great. 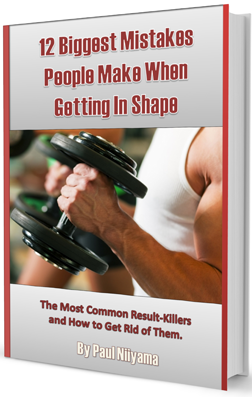 I got a bunch of email from people who were motivated, not just for their health and fitness but also in their lives. You can check out the first of my favorite quotes here. Last week I was listening to a podcast where someone read one of my favorite quotes. Well I’ve been hinking about doing a blog post with my favorite motivational quotes on a regular basis, so I took that as a sign to write the second article. This quote is a little longer than most, but it’s a great one. I first heard this back in high school. I think it was from a football documentary. I liked it so much that when I made a documentary on rugby in college, I read this quote at the end. It is from the 26th President of the United States, Theodore Roosevelt. I think it’s especially valuable for today and our social media society. It is so easy to criticize someone, especially on something like Facebook or Twitter. It’s the person that puts themselves out there and does something that should be proud and feel a sense of accomplishment. Even if you don’t succeed at your goal, it’s the attempt and the effort that is far more rewarding than someone who hasn’t done anything and hasn’t failed. I was teaching a Boot Camp this morning and one of the hard-working attendees suggested a Walt Disney quote. Since Walt Disney had a lot of great motivational quotes, I couldn’t remember which one she was talking about but this one stood out to me, since it’s meaning is related to the Roosevelt quote. There are many people that talk a big game, but taking action is the only way to get anything done. This applies to exercise, nutrition and… life. Wanting to get in shape and doing something to get in shape are very different. I often see a lot of people in the gym doing things wrong, or using too little effort. They may not be perfect but the effort is there and they are far superior to the people sitting on their couch not doing anything. This quote comes in the same vein as the first two and emphasizes just how important it is to get started. Getting started and taking action is the most important part of reaching any goal. It can be so easy to procrastinate and make excuses, but to get anything done you need to get going and keep the momentum to stay going. No matter how daunting and overwhelming a task may seem, you need to start somewhere. As long as you keep making the right decisions and stay consistent, you will get to the finish line. Here’s another quote from an old Chinese philosopher. This is all about remaining consistent with what you are doing. It’s like the old fable of the tortoise and the hare. The tortoise won the race because he never gave up and was constantly chipping away at what he wanted. He beat the genetically superior hare because the hare stopped and got lazy. The only thing I would add to this quote is that with exercise the principle of progressive overload will come into play. The human body adapts very well and with exercise that adaptation means that you need to be doing more and more. Progressive overload means that over time your workouts need to be getting harder and harder. The way I would relate this quote to working out is with your progress not activity. If you are progressing slowly, you are still progressing. If your workouts are the same, then that is stagnation and you are going to plateau with your results. I like what Ziglar is saying with this quote. The means is more important than the ends. What you get by overcoming setbacks and pushing through tough times is so valuable. It builds grit. Nothing that is worth it is ever easy. Fighting through obstacles and persevering creates a strong mindset. If someone wants to lose weight… sure they could have surgery and get the weight off and maybe they will look great. But that does nothing for their mind and their way of thinking because they did not have to work for it. They didn’t create good habits, they didn’t have the joy of doing something they didn’t think they were capable of. Sure working out will make you look good, but it will also give you so much more, especially if you work out hard and don’t quit. Accomplishment is something you will always have with you and is something that no one can ever take away. So there are the five quotes I chose and I hope they motivated and inspired you as much as they did me. Check out my YouTube page for more videos on motivation, nutrition and fitness. I’m also on social media and you can follow me on Facebook and Twitter.